Outcomes for dialysis patients with infective endocarditis (IE) were generally worse than outcomes for control patients with IE. The incidence of infective endocarditis (IE) is increasing among patients with end-stage renal disease (ESRD) receiving dialysis, who also have a higher risk for complications and death than the general population, according to a study published in Clinical Cardiology. ESRD requiring dialysis affects approximately half a million people in the United States, and the prevalence continues to increase annually. Patients with ESRD receiving dialysis are 18 times more likely than the general population to develop IE because of factors such as bacteremia related to repeated vascular access and degenerative valve disease. IE in dialysis patients is associated with poor outcomes and with 1-year mortality rates as high as 60%. However, high-quality data on the outcomes of IE in dialysis patients are lacking. Researchers led by Nirmanmoh Bhatia, MD, from Vanderbilt University Medical Center, Nashville, Tennessee, and Sahil Agrawal, MD, from the Division of Cardiovascular Medicine, St. Luke’s University Health Network, Bethlehem, Pennsylvania, compared the in-hospital outcomes of patients receiving dialysis vs the general population in the United States, using data from a large contemporary national database. The study population consisted of patients with IE, including 44,816 receiving dialysis and 202,547 not receiving dialysis. According to Dr Bhatia, 1 notable feature of this study is that it is the largest study to date examining the outcomes of IE in dialysis patients. Patients in the dialysis group were less likely than nondialysis patients to have IE risk factors, such as rheumatic heart disease and history of drug abuse. Staphylococcus aureus was the most common pathogen in the dialysis (61%) and nondialysis (45%) groups. Patients receiving dialysis were more likely to have IE because of S aureus, non-aureus staphylococcus, and fungi, whereas patients not receiving dialysis were more likely to have IE as a result of gram-negative bacteria, enterococci, and streptococci. Outcomes for dialysis patients with IE were generally worse than outcomes for control patients with IE. Compared with patients not receiving dialysis, patients receiving dialysis were more likely to experience stroke (adjusted odds ratio [aOR], 1.08) or die in-hospital (aOR, 2.13). However, dialysis patients were less likely to require valve replacement surgery (aOR, 0.82). “Dialysis patients admitted with IE are more likely to die and more likely to have strokes as compared with patients admitted with IE who are not on dialysis,” Dr Bhatia said in an interview with Infectious Disease Advisor. 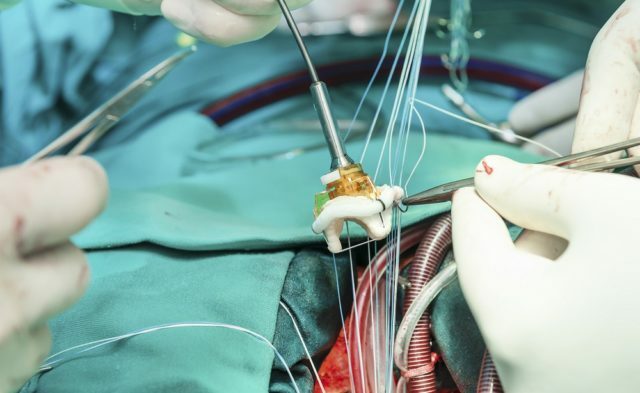 The lower rates of valve replacement surgery do not necessarily represent a better outcome among dialysis patients, who may have been too high-risk for surgery.